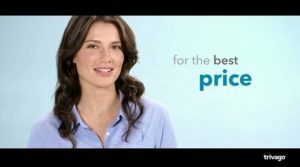 Trivago faces credibility problems and the possibility of a fine running into millions of dollars – after reportedly admitting to having run misleading television advertisements in contravention of the Australian Consumer Law (ACL). The admissions were contained in Federal Court documents obtained by Sydney’s Daily Telegraph and published there and on News Limited newspapers and websites. Trivago, owned by Expedia, is a search engine that aggregates online hotel offers from online travel agents, hotel chains and independent hotels. In the Federal Court documents obtained by News Limited, Trivago reportedly admitted its “lowest rates statements may have caused some consumers to form an erroneous belief that the initial search page offers were the lowest rates”. According to PerthNow, Trivago also admits it “engaged in conduct in contravention” of two sections of ACL, having compared rates for standard rooms with luxury suites to steer customers towards hotels that pay it more commission. The Sunday Telegraph’s John Rolfe said the site had been “comparing apples with oranges”. 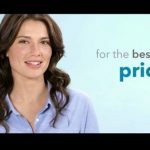 “The ads are wonderful – we all love Trivago girl – and she tells us it’s the best price – only problem is, it’s not,” Rolfe said. The matter will be heard in the Federal Court later this month.